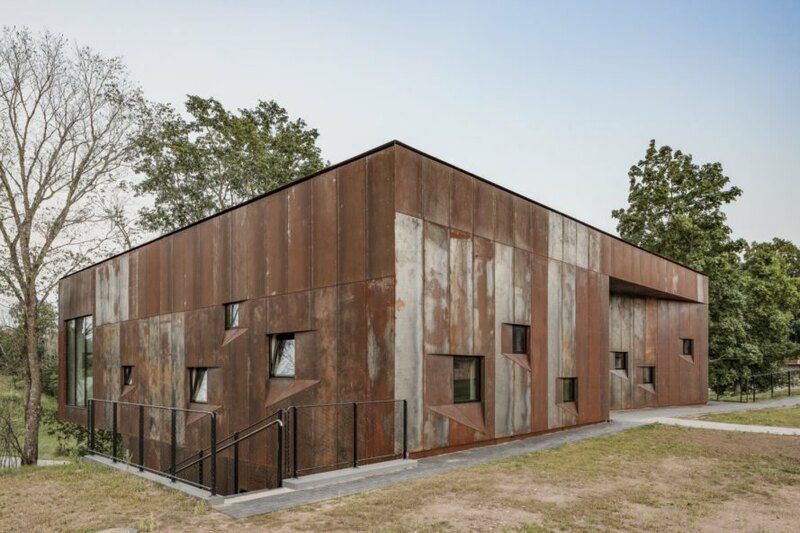 Visitors to the the ruins of a 14th-century castle in Vastseliina, Estonia will now have a beautiful place to stay in this beautiful guest home by Estonian architects, Kaos Architects. 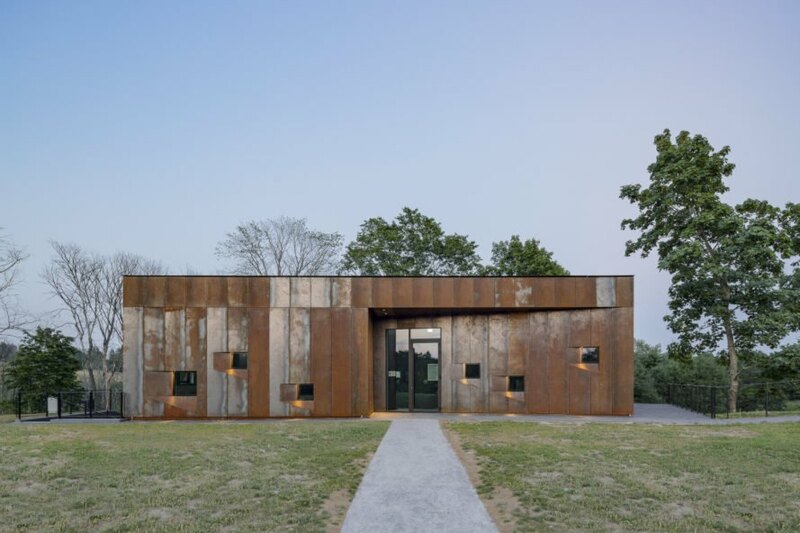 The Pilgrims’ House was clad in a weathered steel to compliment the ancient ruins of a 14th-century castle. Located in southeastern Estonia, the complex is a medieval setting with the ruins of a 14th century castle and an old pub house tucked into the rolling green hills and valleys adjacent to the Piusa river. When tasked with designing a guest home for the unique space, the bucolic atmosphere prompted the architects to create something that would be modern and comfortable, but that would blend in seamlessly with the landscape as well as the older buildings on site. Along with the idyllic landscape, the architects were also inspired by the castle’s long history. After a miracle was reported to have taken place there in 1353, the castle complex became a popular pilgrimage destination. Although in ruins today, the site is used as an “experience center” to welcome guests who would like to experience the medieval way of life. To create the new addition to the complex, the architects tucked the Pilgrims’ House into a deep slope in the landscape so that it would not block the view of the castle ruins. 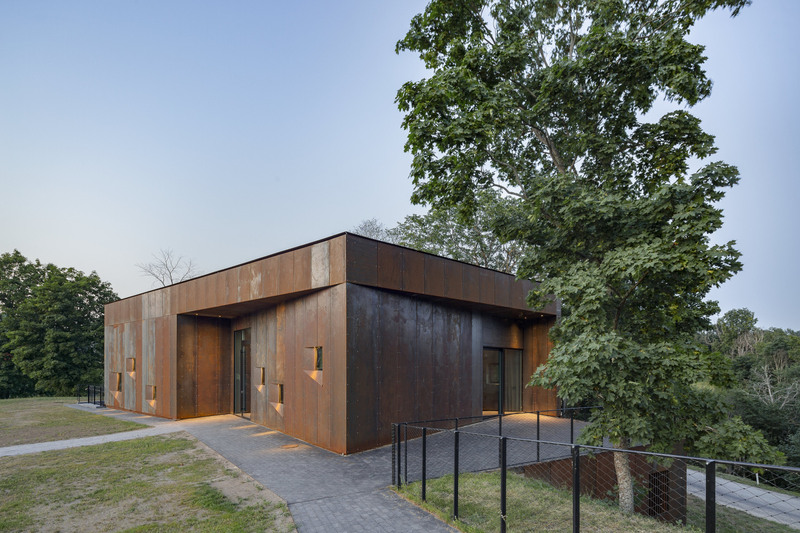 Partially hidden by bushes and trees, the center’s weathered metal facade was intentionally used so that it would compliment the red brick and granite of the ruins. On the interior of the building, the design went medieval through and through. 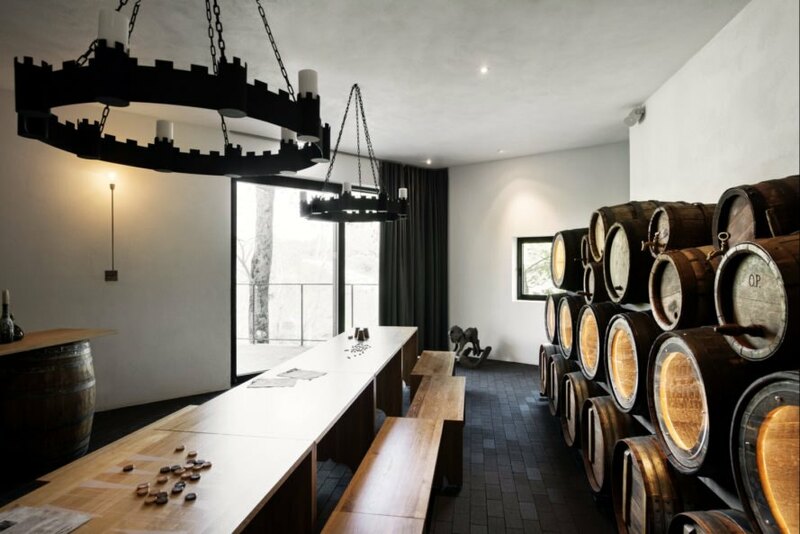 High ceilings and wooden doors, brick floors and secret niches create a vibrant, fresh interior with plenty of medieval features such as the steel chandeliers. Various small windows are reminiscent of early castles, offering scenic views while providing the utmost in privacy. 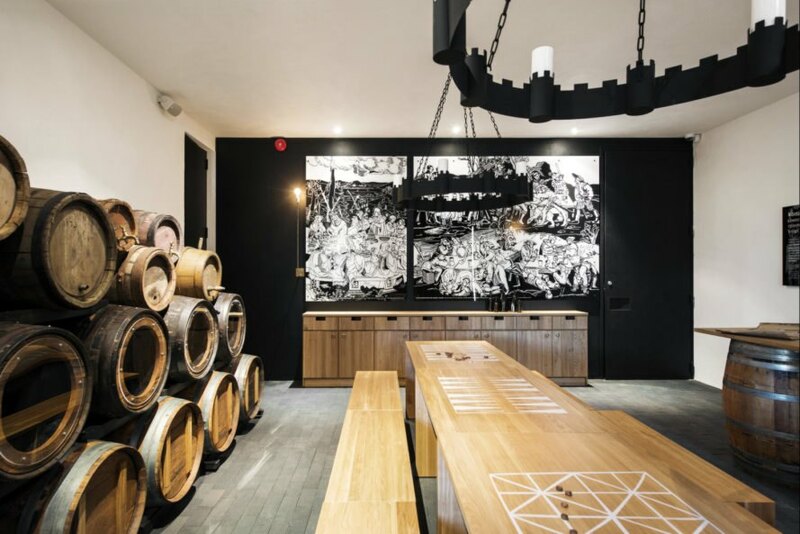 In one room, a jet black wall showcases white graphics that were inspired by old engravings, featuring the area’s long history. Guests will enjoy a stay in the Pilgrim’s House where the personnel is dressed in medieval clothing and serve traditional fare. 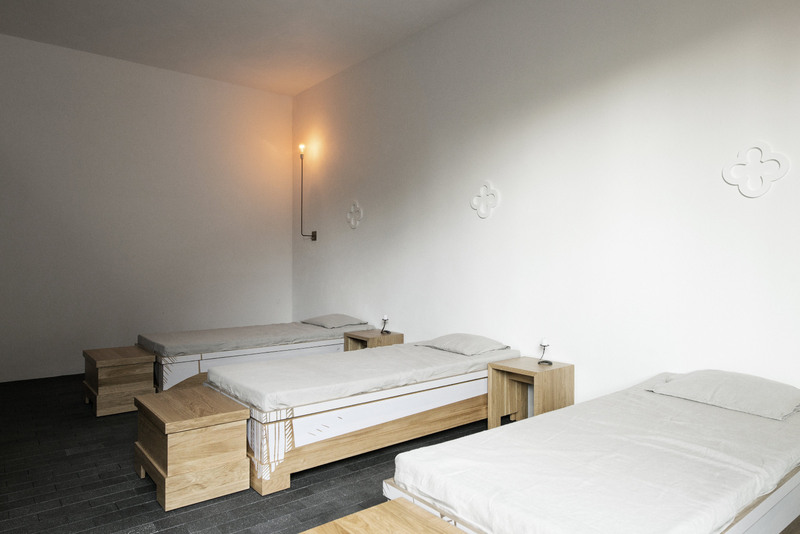 Although the guest rooms are quite humble, they do have hints of modern comforts such as a claw foot bathtub and simple Scandinavian-inspired furniture. The architects clad the building in a weathering steel facade. The metal facade blends in with the red brick and granite of the castle ruins. The steel facade is punctuated with various windows. The architects were charged with creating a new building adjacent to ancient ruins. The aesthetic of the building was meant to blend in with the medieval nature of the site. The Pilgrims' house is a new center on the grounds of ancient ruins. 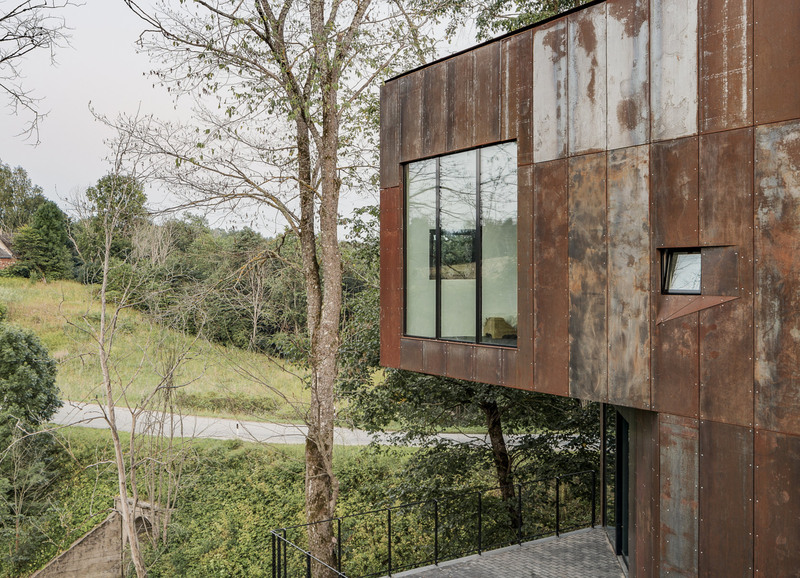 The architects wanted to create a modern aesthetic that gently blended into the landscape. 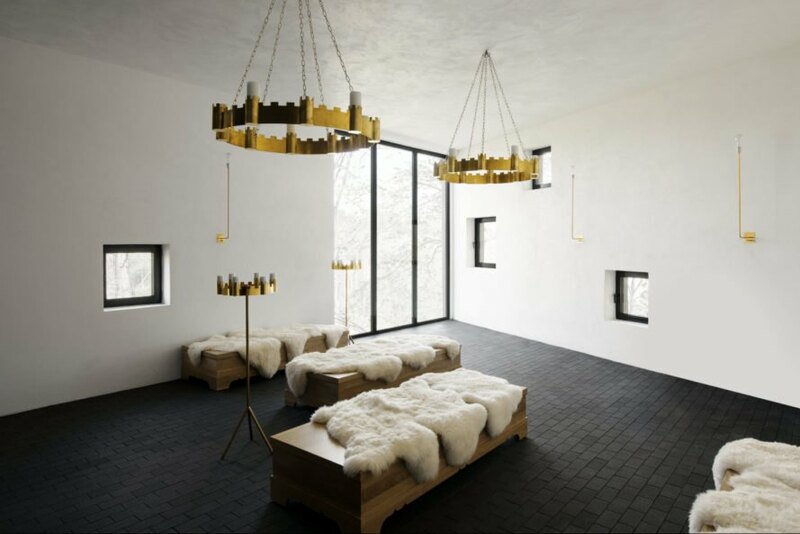 The interior design brings a medieval touch to a modern building. The interior is comprised of plenty of tables and seating spaces. The house has a central dining area. The guest rooms are simple, but comfortable. The building has a number of guest rooms. 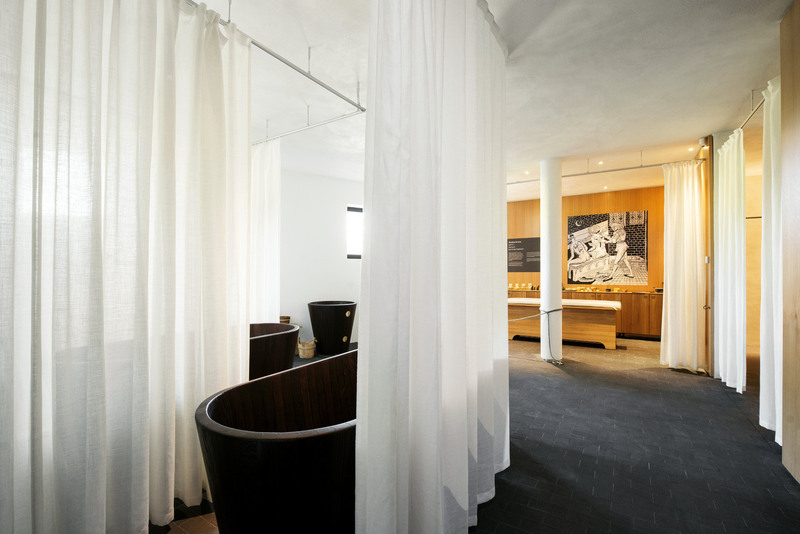 A simple curtain hides the bathtub. The building is used for local events. 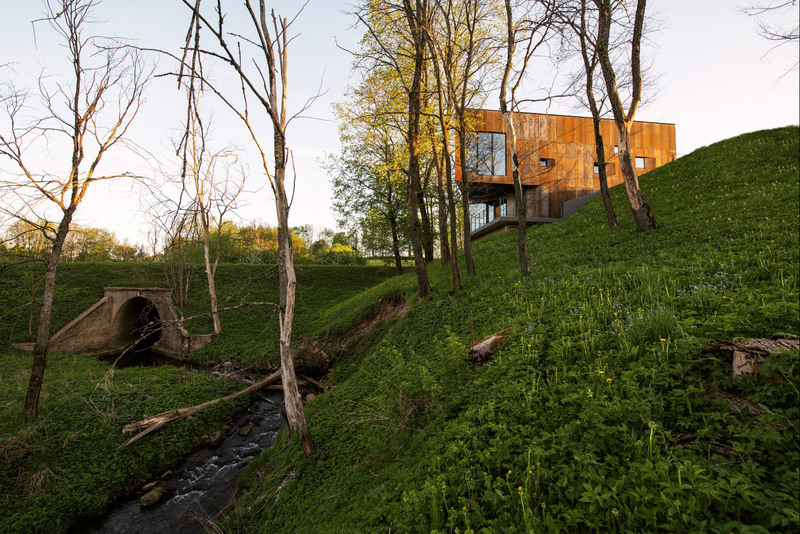 The building is gently tucked into the landscape. The building will be used as a welcoming center. layout of KAOS Architects' Pilgrims House. 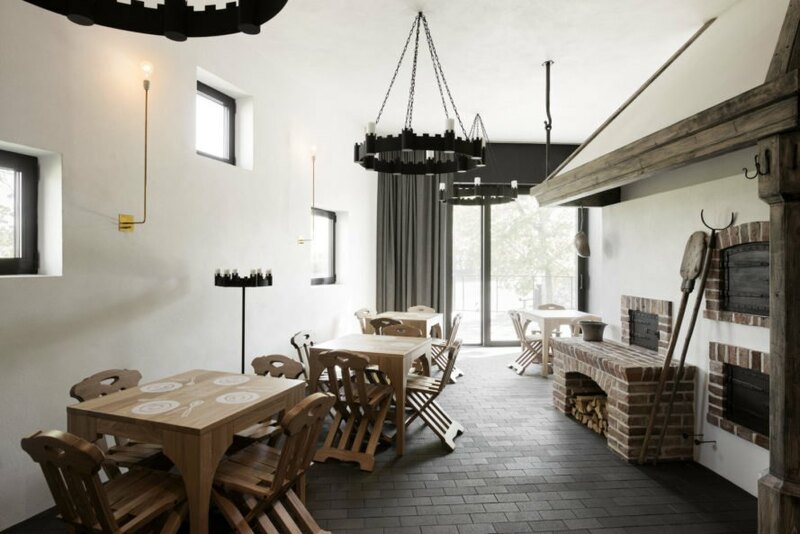 Visitors to the the ruins of a 14th-century castle in Vastseliina, Estonia will now have a beautiful place to stay in this beautiful guest home by Estonian architects, Kaos Architects. 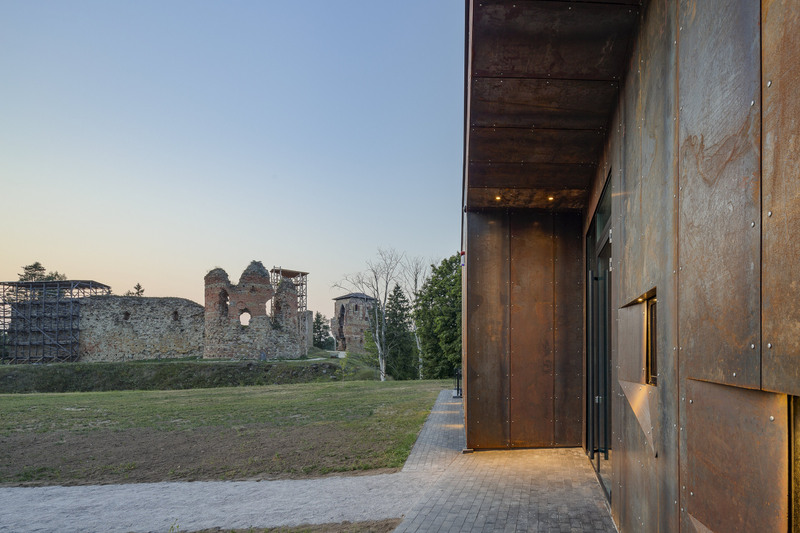 The Pilgrims' House was clad in a weathered steel to compliment the ancient ruins of a 14th-century castle.